GamersOrigin has a special affinity with Hearthstone: the team very first esport player was a Hearthstone competitor and the Web-TV GOHS.TV helped a lot for the club growth. 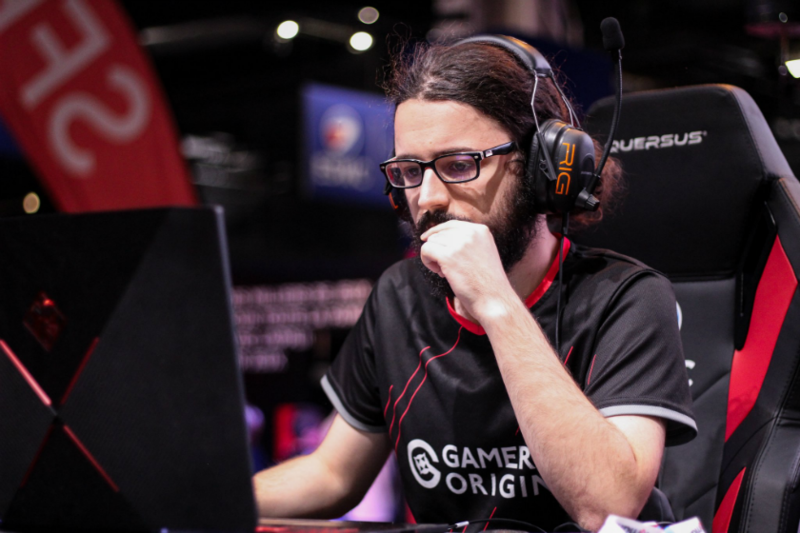 GamersOrigin has been involved in the Hearthstone scene since 2014 with a huge renewal in 2018. During this year, Gallon and Trec joined as players and Den became our coach. While the two French were in Paris for the Arma Convention, we asked them how they see the recent game evolutions and how they work as a team. GamersOrigin: What are your thoughts on the specialist format, a few weeks after its release? Den: I save my opinion for after the rotation. When we prepared the latest tournaments, we soon perceived that there were too many Hunters. Even Trec, who is a true deckbuilder who loves to create stuff, is picking Hunter. Trec: The format is very interesting. It will depend on Blizzard and on if they can balance the meta. If a deck is very dominant, everyone will bring it considering players can only choose one deck. That is weird that they set up a new format a month before the rotation. Den: They must have wanted to start the open cups with the specialist, which is a good thing. But they should have released the expansion at the same time. It’s a bad press for the format, every Twitch chat hates it. GO: Is it harder to watch? Trec: No but it’s less spectacular. Den: On a long term basis, for tournaments lasting 10 hours like the Arma Convention, it means that you have 10 hours of Hunter. Even the casters don’t know what to say. During the top 8, the Twitch chat was not cheering for players but for classes: no one was cheering for Dreivo or Totosh but everybody was cheering for the Druid and the Mage. Trec: Blizzard seems to have a lot of good ideas this year but I don’t understand the planning. Den: The Worlds will use the new cards while this tournament is supposed to conclude the year. It will be a very aggressive meta because the players will not have the time to train in conquest while trying to qualify for Las Vegas. GO: Speaking of Vegas, how many players will compete there? Trec: The Worlds players will maybe receive an invitation. However, all the qualified players will not be able to fly to Vegas, considering the cost of the trip. Den: Yes, many of them hope to find an organisation thanks to their qualification. But only the top 100 will earn money and a team recruits a player only if he is streamed. If he is eliminated before being streamed, it’s pointless for the club, which clearly has to make a bet. Trec: For me, the specialist is rewarding good players. GO: Is there a link between performances in the ladder and in specialist? Trec: Yes of course, in both cases you have to focus only on one deck. It’s funny that they removed the importance of the ladder and just after set up a system that rewards good ladder players while leaving an optional ladder grinding possibility. Den: For me, open cups are much more interesting than the ladder. Everyone has been asking for a ladder in BO3 for years and it’s more or less the same. 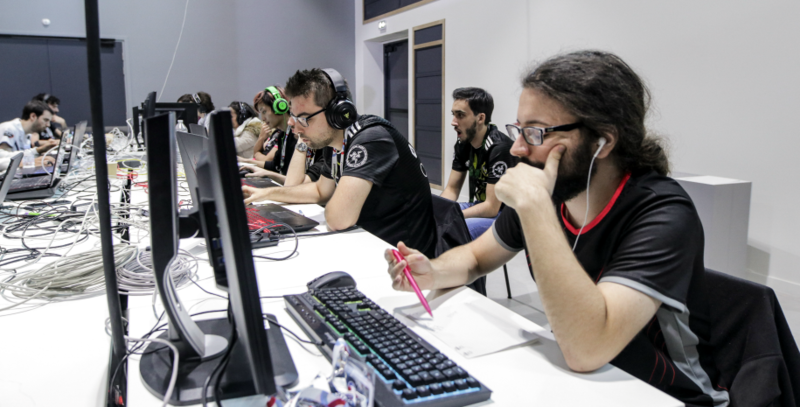 GO: Why are you so glad to see the open cups system coming back, knowing that the professional players rejected it strongly at the beginning of the game? Den: It’s not the same system at all. The former open cups gave you points and you had to farm the ladder too. Now they give you a qualification: once you have win one, you can rest, you don’t need to win an open cup a month anymore. The loser bracket was an issue too: losing at the round 3 could mean playing for 18 hours straight. Trec: At least you knew you could go out for a ride. With the current swiss rounds system, you never know when it starts again. GO: And what do you think of the boosters given during those open cups? Den: It prevents people who played several hours from doing it for totally nothing, and it may lead casuals players to try tournaments. Trec: It was a good idea to encourage the casuals with the boosters, but to compete you need to register two weeks in advance: there is no casu who will think to save his entire afternoon a couple of weeks prior to the tournament. Den: I’m glad to be able to open my free boosters on any servers, it’s a good move from Blizzard. GO: Are you confident about your qualification? Den: Yes, for the moment. We had a lot of things to do: coaching, preparation for the Arma Cup and the Arma Convention… Now we are in a period entirely dedicated to open cups, and if it fails we will question ourselves. Trec: The planning itself is an issue. There is no tournament on Monday and Tuesday, and when we leave for a LAN we can’t try to qualify on Friday, Saturday and Sunday, so there are only two days left in the week. Den: Trec and other players are coming to my place for a bootcamp. If at its end no one of the group earns a spot, we will have to question ourselves. Trec: Considering what we have seen so far, it’s a reasonable objective. Den has already reached a final and we all made it to a top 4. Den: Purple and Gallon started late too due to the WESG. GO is now focused on this goal and we are confident. GO: What did you do during the season beginning? Trec: We had several events, including the Battleriff League, which is great according to me even if I don’t know how it will cohabit with the Blizzard’s system. Den: Battleriff depends on people in the League and if they qualify themselves for Vegas. GO: What is your opinion on the Hearthstone Master system, compared to the former HCT one? Trec: It’s tough to say right now. In the past, we knew that going to the prelims guaranteed $1000 in prize money. Now you have three long trips to make during the year without any guarantee. Only a third of the contestants will earn a part of the cash prize, the minimum being only $200. However, it could be increased by the in-game shop, even if we don’t know if Blizzard will raise the prize money for people already in the money or for everyone. GO: And concerning the next expansion? Trec: I like the 1/1 Lackeys concept. Blizzard is expected to add more of them during the year, which can be interesting. All this year expansions history and mechanics are supposed to be linked. Den: The Lackeys seem very powerful and promising. GO: How do you improve as a casu and as a pro? Trec: A casual player needs to understand the competitiveness of the game, by watching streams or finding sparring partners. 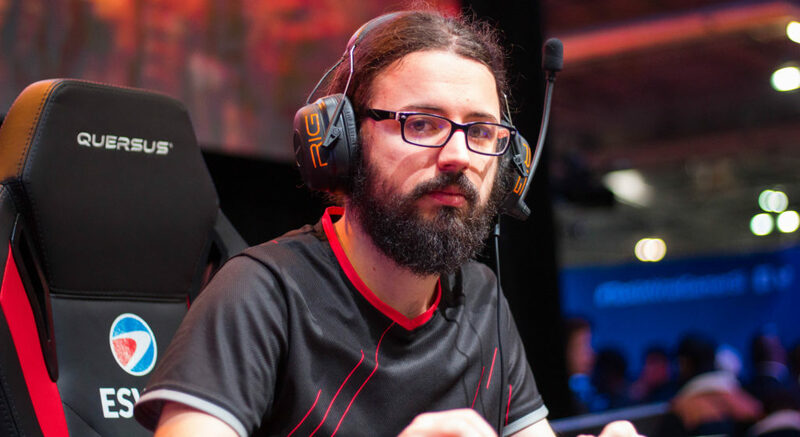 Den: If you are a beginner, you need to earn as much experience as you can, by all means: play a lot, in ranked, in the arena, watch streams… A coach is useful to move from casu to semi-pro. At the moment I am coaching a lot of people who want to try open cups. Trec: Getting advice is crucial. When you are alone, you never question yourself and you always keep the same scheme. Den: Trec and I have known each other since the Mantic0re period, and we have more a player-to-player relationship than a coach-to-player one. Our goal is to maximize the group performances, and because Trec is part of it, if the group does well Trec will do so. The group contains Osyris, us, and Gaboumme and Kalas from Normand Esport. Trec: We had a lot of great results with Mantic0re, we all went to almost all preliminaries. Den: Our primary goal was to prove we could achieve something at the European level. Now, Trec and Kalas do not think not going to the playoffs. Back in the time, qualifying for the prelims was a success, and now not qualifying will be a failure. Concerning the tournament preparation, I want Trec to pick what he wants and to apply it to his way of thinking. Nobody can actually help him with discard Warlock since he has built it. I just looked at the whole game collection to find cards he may have missed. He wanted something defensive, with divine shield, and I knew he loves the Stoneskin Basilisk. Trec: It’s a great Arena card. Den: Discard Warlock is counting on value, in the long term, exactly like in the Arena. I told him about the Basilisk so that he can integrate it into his reflexion. We try to understand how the other is thinking and to adapt it. The final result is always Trec’s one. Trec: I love to see people trying my deck, it’s very interesting. They often don’t play it as I intended it to be operated. I watch every video made by streamers who play it. GO: How does your association with Gallon and Purple works? Den: I’m in charge of the Hearthstone project at GamersOrigin, so I’m in charge of their results even if I don’t help Purple a lot: he has is own practice group, with Zalae etc. Trec: It’s the same in every team, everyone has a practice group which doesn’t necessarily match the team line up. Den: Purple also trains with Gallon and contacts me to test particular match-ups, to work on some statistics etc. I’m more like an analyst. For team tournaments, the GamersOrigin line up is Gallon, Trec and me. Trec and Gallon see the game in a way totally different. GO: Is it true that the player who holds the mouse decides the final play? Den: This rule works only if everyone is playing his own deck. Otherwise, it’s pointless. Trec: We do try to follow this principle. For instance, when we use midrange Paladin I’d rather have Gallon playing it. Den: But if Gallon plays a deck entirely built by Trec it’s way more complicated: you must deal with stress, with the rope… In most cases the active player suggests a move, the others give their opinion, and 20 seconds are gone. Everyone proposes another plan and 20 other seconds are passed. And you still have to make your move dealing with the rope. GO has three players who are excellent for various reasons. Trec is a true deckbuilder, Gallon has an impressive memory and Purple is able to claim unwinnable matches. My role as a coach is based on the team organisation. I’m not worried about their individual level. It’s very interesting to have them at 100% for a few days because they are already at the top. GO: Do you suffer from a particular pressure concerning your performances? Den: When Trec makes a poor result I take it personally. I will think that he had a bad game plan and that I did not see it. And of course, I’m glad when he achieves great performances. Trec: It depends on tournaments. Making a poor result at the Arma Convention bothers me a lot even if I still think the specialist rewards good players. I actually feel much more pressure from the open cusp system. If I don’t qualify for Vegas, I will take it personally and feel upset for GamersOrigin. Den: We both don’t play to lose, even if we know that defeat is a part of our job. We know we can’t always win. Trec: When you play to a card game you have to learn to lose. In the beginning, I was a sore loser, but you can’t always win, it’s an ungrateful game. You have to look at the results over a whole year, not only on one particular tournament. It’s no luck that the same players are always at the top, like Hunterace or Justsaiyan. Den: To me, there has been much more kindness on the Hearthstone scene recently. We stopped comparing people to chose the best and to belittle the others. Now, we rather use players categories: the elite, the good ones etc. Trec: Rankings do not mean anything, they entirely depend on the statistics they use. Go: Why does France have so many Hearthstone talents? Trec: The various Web-TV motivated a lot of people. Den: Simply because there are many great French players. In every open cup, there are some of them. And the level is high: Solary, Vitality, GamersOrigin… It’s extraordinary to be able to compete in 4, 5 or even 6 domestic tournaments within a year. In other countries, they usually have only one. Trec: In other European countries, there is a clear gap between the elite and the average players. The French scene is well-developed, with a lot of small tournaments. Den: It’s not that hard to find an organisation in France if you achieve good performances and have great communication. Trec: There are many players who slack after joining a team. Den: For them, it’s over, they have what they want: paid tournaments fees. Trec: I joined Mantic0re because I knew Den what the coach and because there was an incentive to try hard. Den: In the biggest organisations there is no finish line: you try to qualify for Vegas, then to win it, then to win the next Master tournament etc. The circuit never stops. When Trec arrives at a LAN, he’s awaited: when he loses, it’s almost always a bad performance. 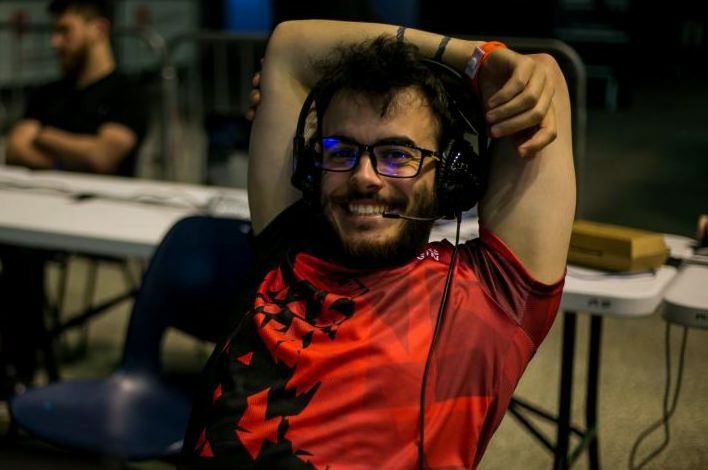 Only three players from the French scene have won a Major: Trec, Odemian and Maverick. There is a respect for the GamersOrigin jersey: our opponents really know we are here to win. GO: Have you tried Magic the Gathering Arena? Trec: I played it a bit. Each time I came back to Magic it reminds me why I don’t like it: the land system. GO: Is it possible to be competitive on both Hearthstone and MTGA at the same time? Den: I think so, I try to qualify for the Mythic Championship. I reached the top 1 000 on MTGA during the two first pre-seasons while achieving a top 200 on Hearthstone. GO: What do you think of the WCG national qualifier system? Trec: It’s annoying for French people because France has a lot of good players. In some countries, star players are much more insured to qualify. It’s always great to have some domestic hype. Den: Yes, for instance, everyone cheered for AlivZ during the WESG, where he represented France. Previous Previous post: Reynor is the WCS Winter champion!